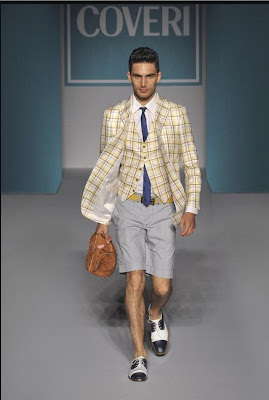 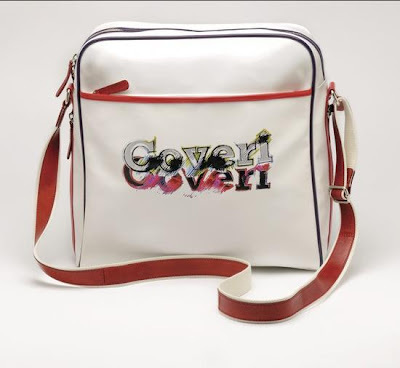 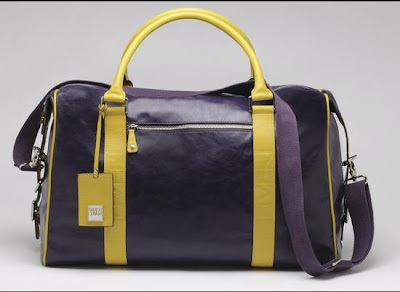 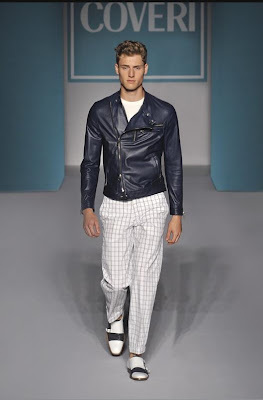 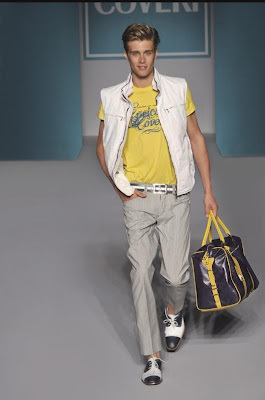 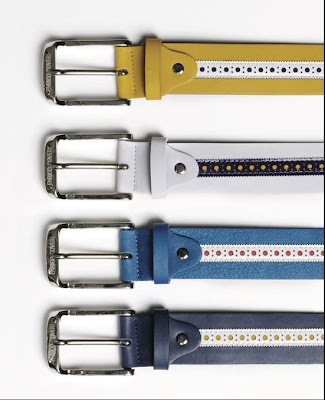 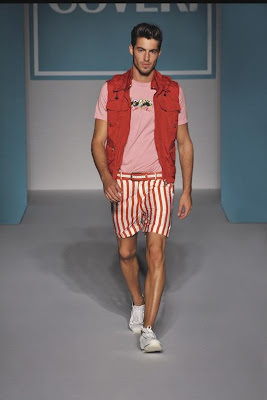 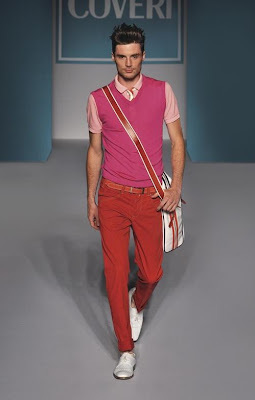 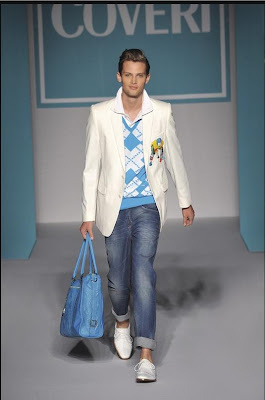 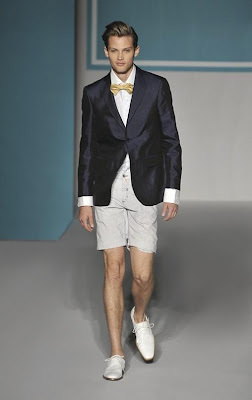 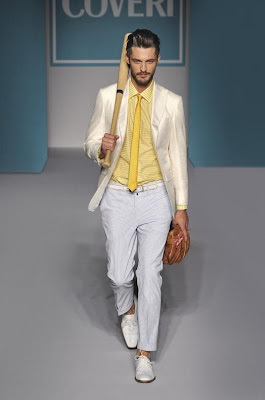 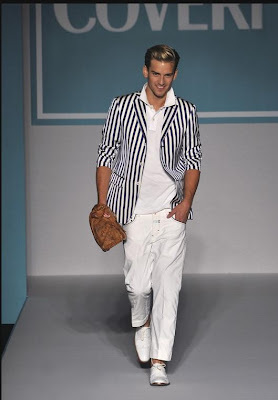 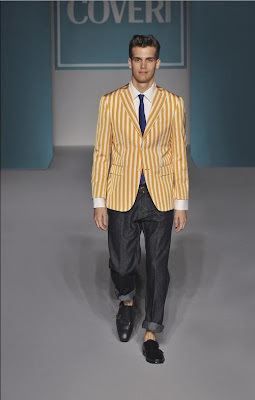 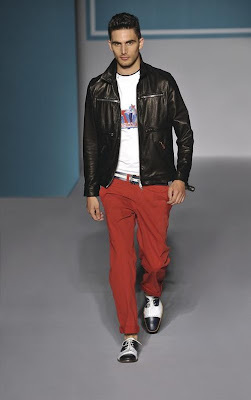 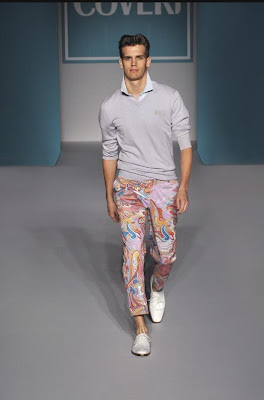 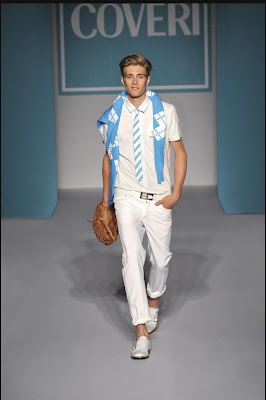 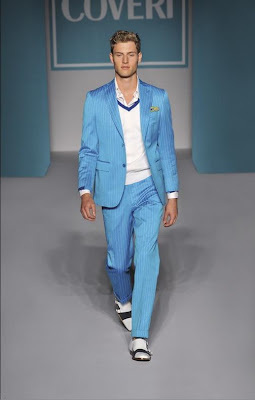 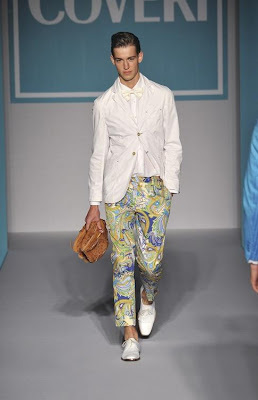 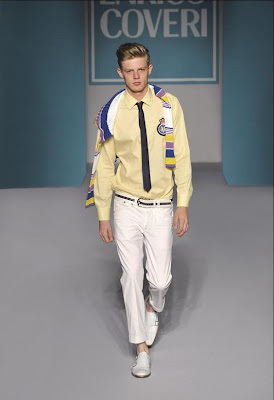 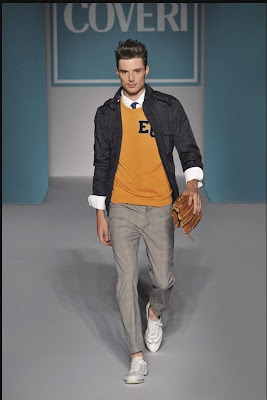 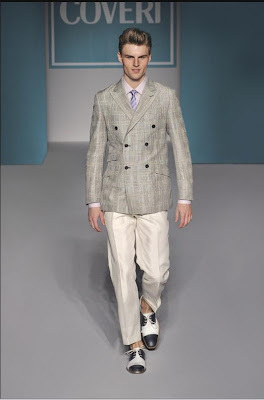 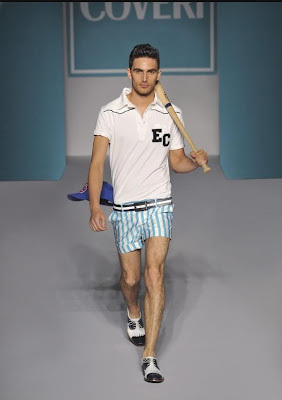 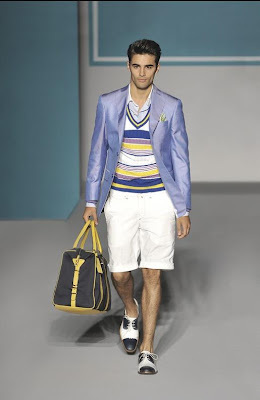 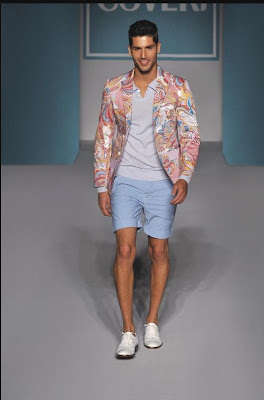 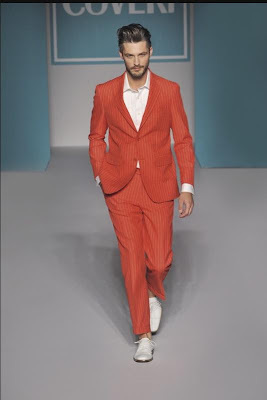 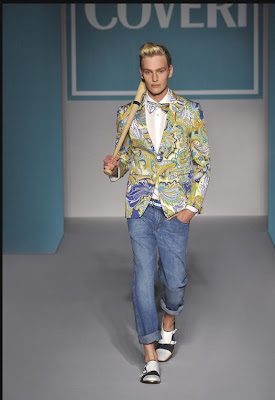 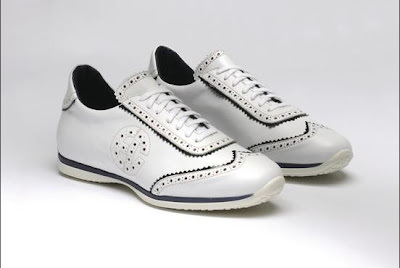 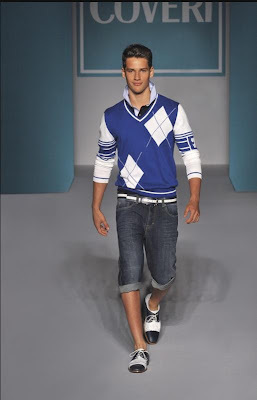 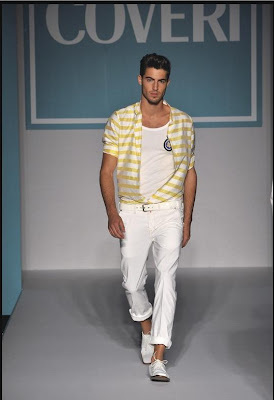 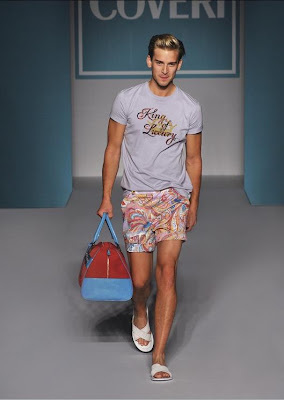 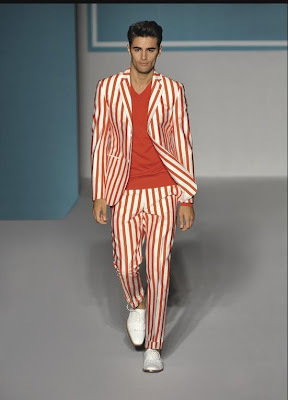 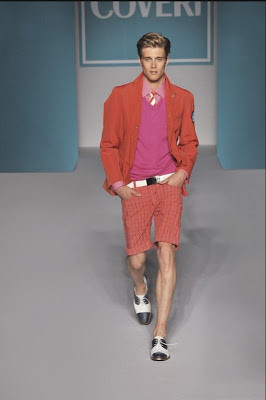 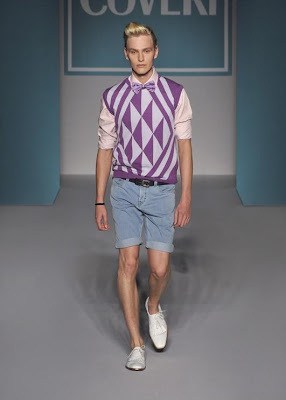 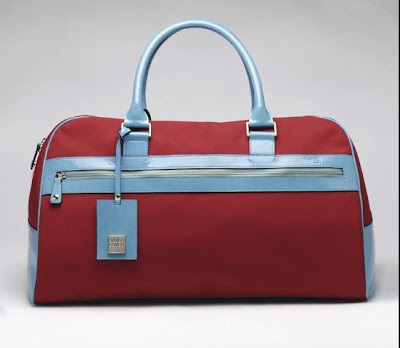 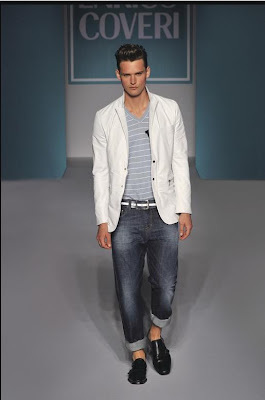 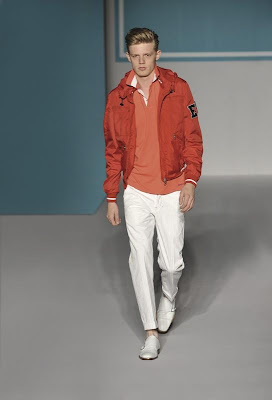 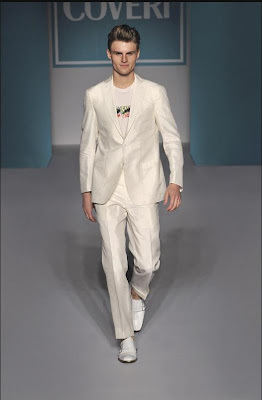 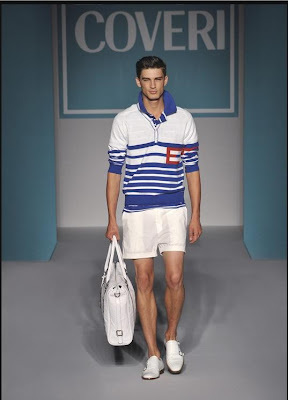 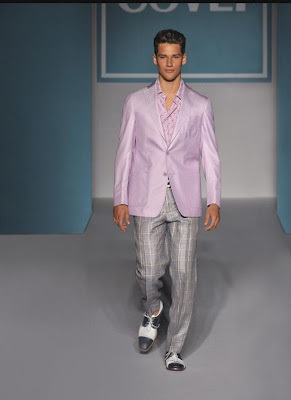 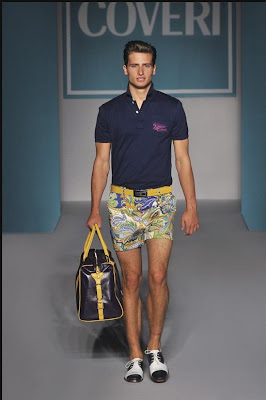 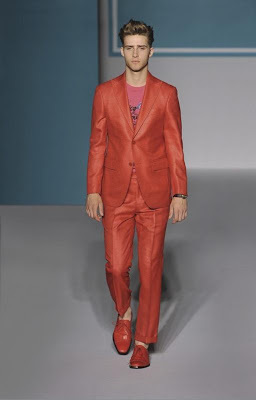 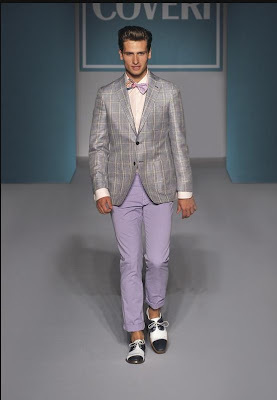 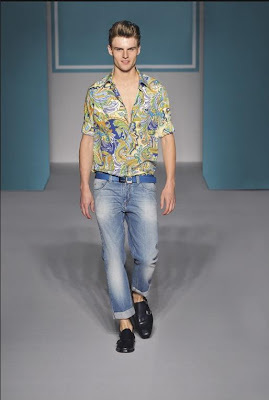 Since we have been having dreary weather lately I figured I post one the most colourful and fun spring/summer show that was presented in Men’s Milan fashion week, Enrico Coveri's spring/summer 2010 collection. 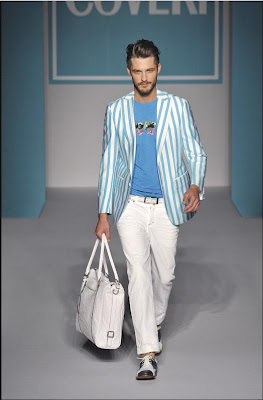 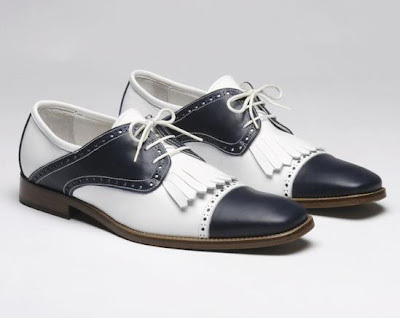 I love the bright colours-blue and red and the prints and pattern-paisley and stripes. 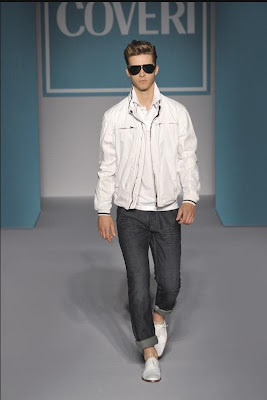 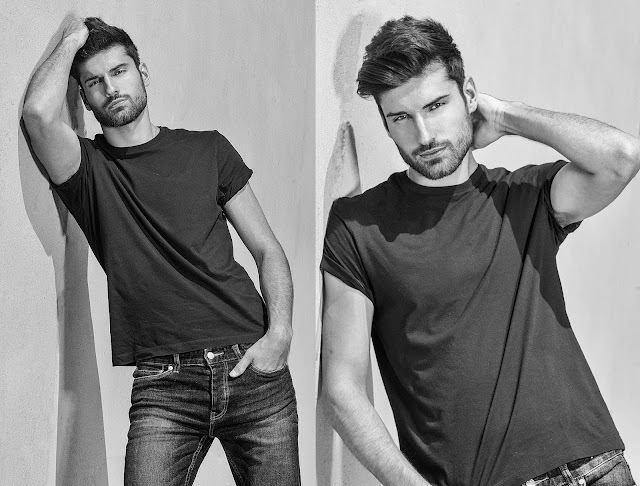 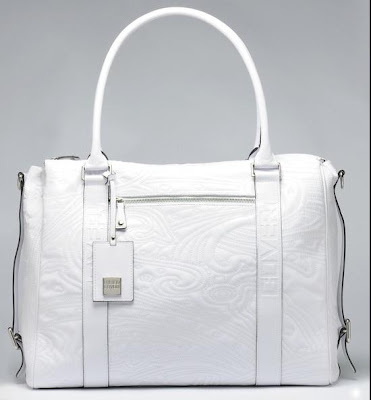 Not to mention all the models looks so handsome specially Reid Prebenda, Matt Bensted, Taylor Fuchs and Casey Taylor.